After establishing our rhythm in the early part of the summer, we can push a little harder on the gas pedal and see what adventures await us during weeks 3 and 4. 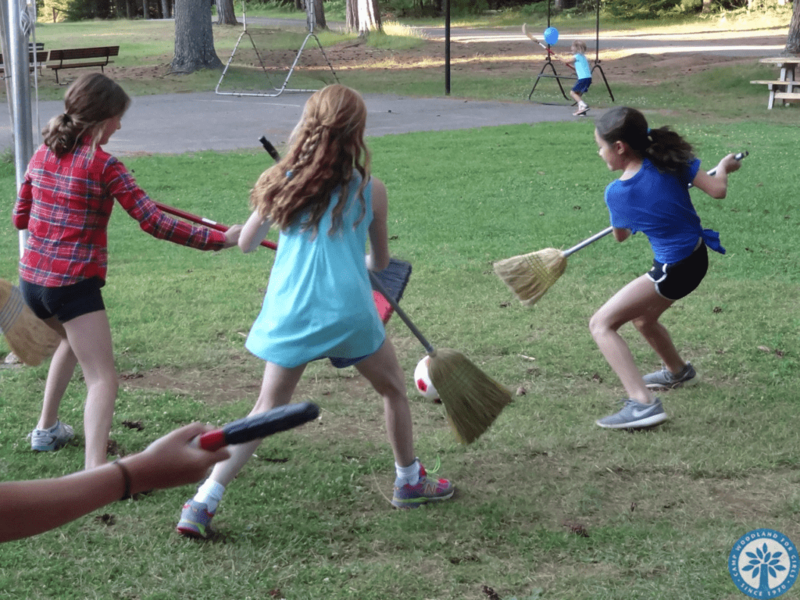 Some campers have decided to challenge themselves with a new activity (or two) while others strive for greater mastery in favorite activities. 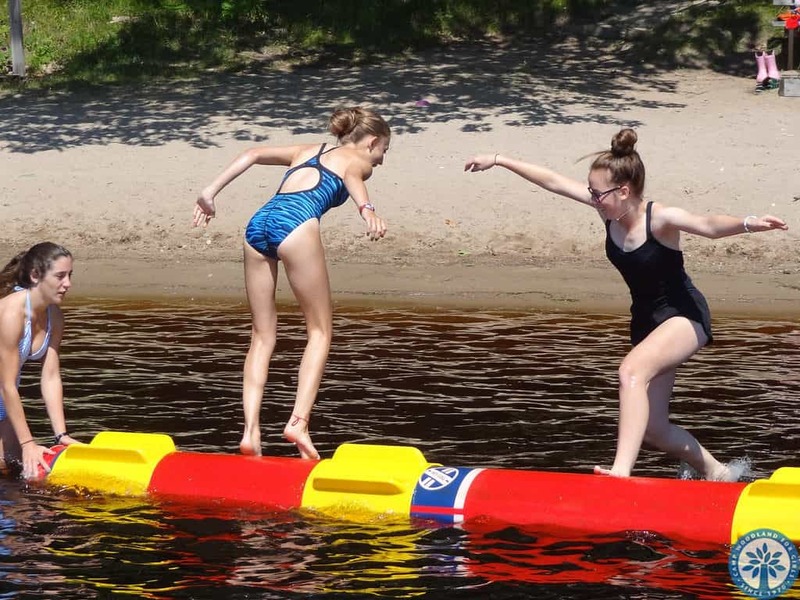 We see campers testing their balance and focus by giving log rolling a try at the waterfront while playing soccer with brooms gives a “twist” to an old favorite! 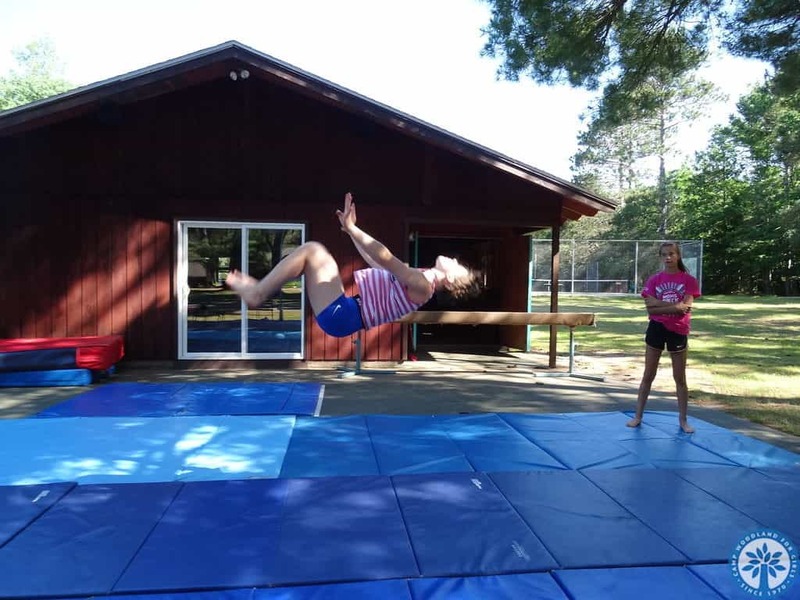 It is SO EXCITING to hear the many announcements of campers passing levels at evening assembly: staying up on skis in choppy water, making a mooring for the first time, learning to canter, mastering a skill in gymnastics, or earning a qualifier in archery. Campers start to EXPLODE with accomplishments during the middle 2 weeks of camp – it is fun to watch them BURST with confidence like never before! Having been together for a while, cabin groups usually discover that not everyone agrees all of the time. We embrace this opportunity for the real work of camp to begin! A number of cabins are taking a canoe trip for a fun bonding experience and a change of routine this week. There is something about paddling to a destination, cooking over a fire, and sleeping in a tent that provides an opportunity for campers to connect in a way that is different from being at “home” in the cabin. 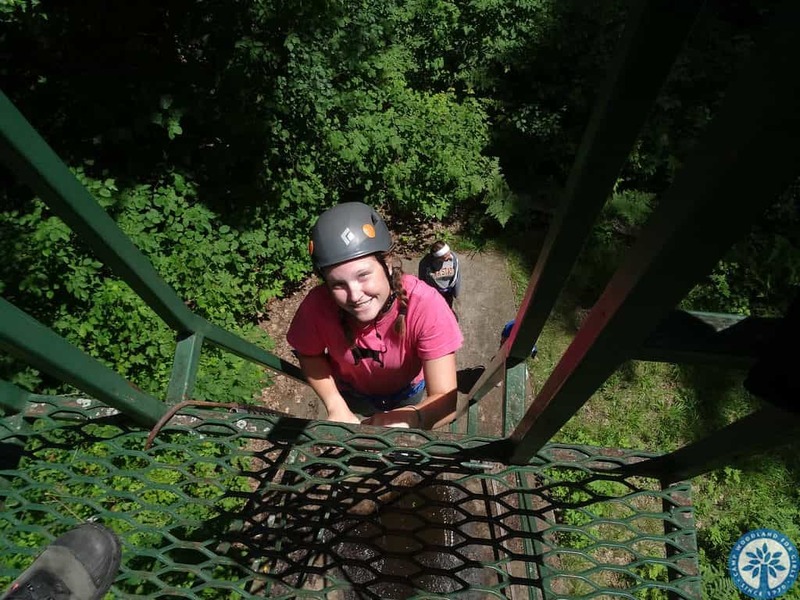 We also offer two ropes course excursions at this point in the summer for the oldest campers so that they are able to further challenge their leadership skills and foster teamwork and trust as key elements for unity as a group. Song Contest and Gold Rush are highlights of this 2-week period. With the support of the counselors, groups come together and appreciate each other’s unique gifts and strengths while preparing for Song Contest. 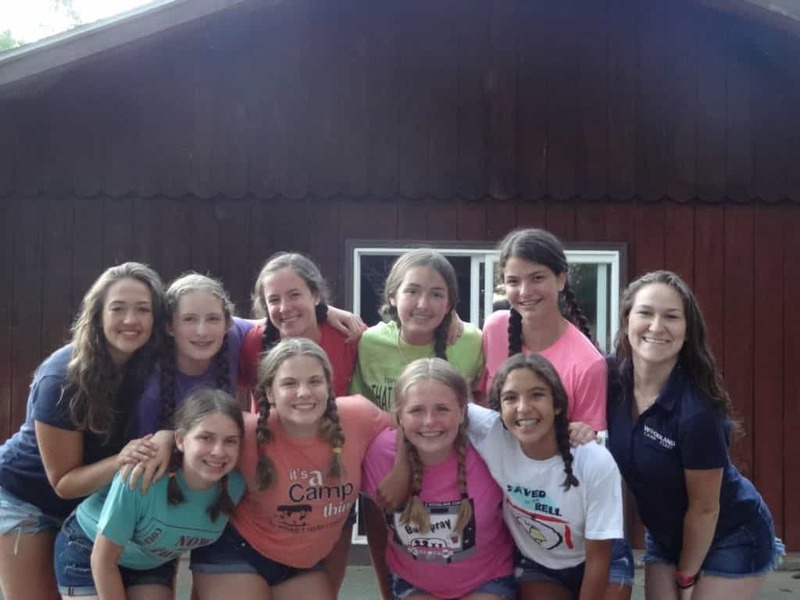 I am always amazed at what cabins can do when they put their heads together, change the words to a song, add in some creative dance moves, and practice for an all-camp performance. Behind the smiling faces during show time is the teamwork, negotiation, compromise, and problem-solving that went into accomplishing a common goal. Hilltop girls had their act together on Saturday night and dazzled the judges with their performance to earn the coveted 1st place award for this event. During Gold Rush, campers stay together as a cabin group and work to figure out the location of the Mother Lode. Meanwhile, CIT’s dressed in red vests interrupt their progress by having the girls sing a Woodland song, do a fun challenge, spend time in “jail”, or be cooled off by a blast of water from their ever-ready squirt guns. Campers find “fools gold” and turn it in to the assayers office for money to buy Red-Eye (bug juice) or clues. Clues are general at first and then turn specific over the course of the afternoon so that cabins are able to hone in on the biggest prize of all. 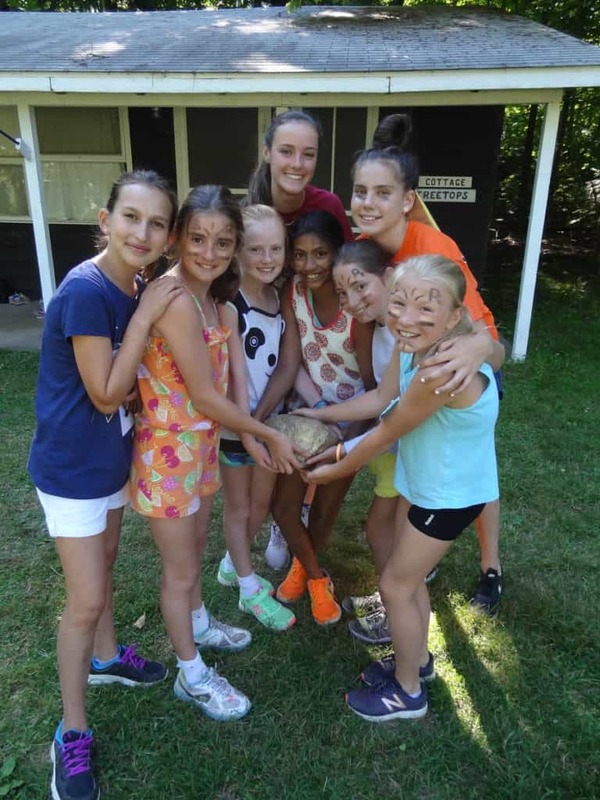 The Treetops girls made sense of all the riddles and hints that led them to find the big gold rock under the beach house near the buddy board!